I’m very partial to a good mug. 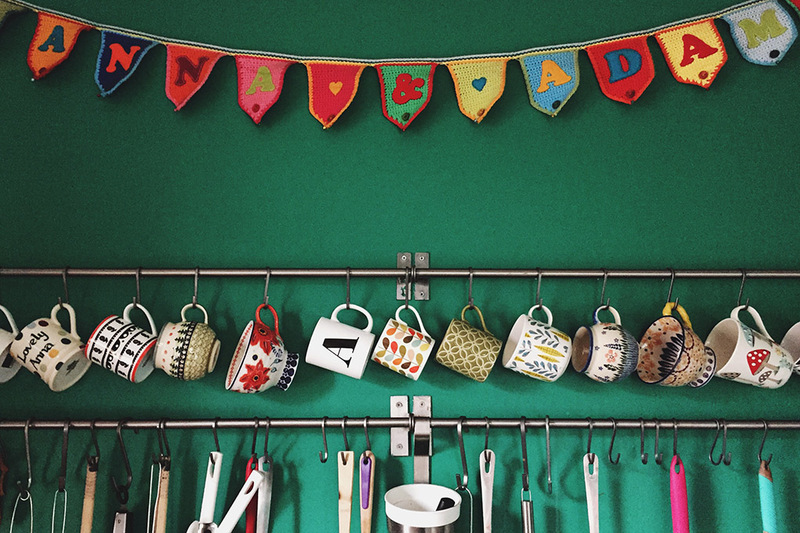 To me, drinking from a great mug is such a pleasure, and since I’ve become a bit of a collector over the years, I’ve made them double up as décor in our kitchen by hanging them on a rail. This little display is one of those small things that pleases me inside and makes me smile every time I look at it. Sad, I know, but true. Like a magpie I’m always on the hunt for some new ones so I’ve done a little round up of my current favourites in the shops right now. 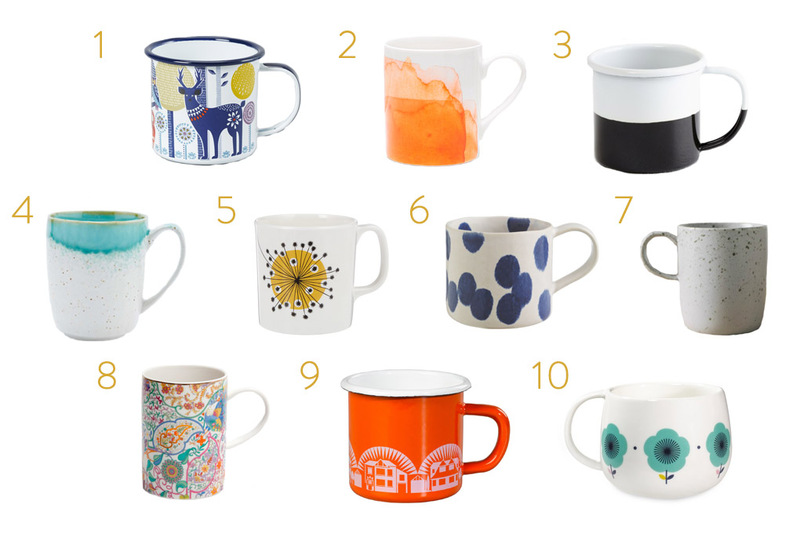 There are some absolutely beautiful ones around that I could quite happily bankrupt myself on, but in the spirit of simplicity, I’ve only included mugs that cost under a tenner. Go grab yourself one!